It’s good news for the UK, with employment at its highest level since 1971. Whilst this is clearly a positive result for the nation, recruitment professionals need to be on top of their game if it means they are to snap up top talent in an increasingly competitive market. To support continued growth, businesses need to make sure they are getting the right people into the right roles – and keeping them there. Recruiters are facing a challenge to identify and engage the best candidates, but if this is not aligned with overall growth goals, then these positive figures for the overall economy and individual companies will not last. Cielo’s Talent Activation Index found that only two fifths (39%) of HR, talent and recruitment executives are satisfied with the quality of their talent pool. With just a quarter (27%) believing that their firm is set up to meet the changing demands of the 2020 workforce, recruiters should see the falling unemployment rates as a watershed moment in making talent strategies ready for the future – but often don’t. 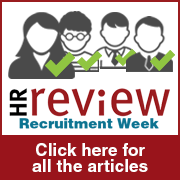 While HR professionals are fully aware of the importance of talent for realising business goals, recruitment strategies often operate in silo. Every business leader wants their team to be the best in their industry, but not enough are dedicating sufficient time and resources to enable HR to act on this. Just 15 percent of organisations found a clear link between workforce planning and overall strategic plans, according to research from the Corporate Research Forum in conjunction with KPMG. Rather than proactively planning for future talent needs, too many businesses are recruiting on a case-by-case basis, with minimal thought to how this impacts the bottom line. This lack of alignment when delivering business goals in relation to talent can only be fixed by demonstrating its crucial importance to the board. Senior management often underestimate the importance of empowering HR to act strategically around recruitment. HR needs to ensure their voices are being heard, and make it their personal mission to elevate recruiting for growth to the top of the board’s agenda. Recruitment strategies should respond to improving employment rates by providing longer-term solutions. Recruitment is not about filling up teams to make up numbers, it is instrumental in enabling businesses to perform more effectively and grow. Businesses cannot grow or reach their goals if unsatisfied employees are leaving, causing firms to constantly refill their talent pipeline and struggle to reach productivity with new employees rather than focusing on strategic targets. With more candidates in the job market and more roles available, HR should be guaranteeing they are not only reaching top talent but also engaging them through creating and finding the right roles, so that people stay for longer and make a positive contribution to company performance. The issue of retention raises the issue of incentives, and of course, remuneration. With a buoyant employment market comes the likelihood of salary hikes for top talent and indeed middle level employees. In this time of high employment, HR professionals need to be looking at how to keep strong performers in roles, rather than risk losing them to key competitors. In this regard, pay, benefits and promotions are of course important factors, but businesses also need to look at other critical factors such as; culture, demonstrating a clear career path,offering autonomy as well as challenging and rewarding work portfolios. When on-boarding new hires companies can also start on the right foot by providing supportive guidance, clear information and regular check ins to gauge satisfaction and accelerate performance. Getting talent strategies in place and aligned with business objectives is not a simple task, and requires time and dedication. However, as HR executives are responsible for a vast array of tasks, some feel that they are not able to step up and think beyond the day-to-day to concentrate on more strategic tasks. For those spending their days filling out paperwork this can seem an unattainable assignment. Procedures such as payroll and benefits, whilst entirely necessary and critical to the business, could be relocated to other areas of the business, for example to CFOs and CAOs. This would allow HR teams to spend their time meeting, and exceeding, the expectations of business leaders, and subsequently delivering strong results against performance targets. Partnering with a dedicated outsourcer such as an RPO specialist who is knowledgeable, skilled and on board with the business’s specific aims can free up executives to focus on strategic growth. As the workforce continues to swell, recruitment professionals need to ensure their talent strategies suit the diverse needs of a large workforce and support talent diversity in their organisations. Whether this is based on age, gender, socio-economic background or sector, it will require a bespoke approach that attracts the best candidates, matching the needs of the business. Some HR departments are looking to outside sources in order to begin activating their talent strategy for all employees, and all roles. With more people in full-time work, HR professionals need to ensure that they are demonstrating exactly why their company is the place to be. Successful talent strategies also need to engage every candidate, from application to induction, whether they are successful or not. And as the employment rate will continue to improve in line with the economy, it’s vital for businesses to illustrate why their environment is the best place to work. Otherwise these firms risk alienating potential hires from applying in the future. Businesses that excel in attracting and developing strong performers have not only successfully weaved talent into their overarching business strategy, but have also thought long and hard about how to attract this talent and keep them there. The workforce is changing, but are UK businesses adapting their strategies to accommodate it? One thing’s for sure: the contest for talent is hotting up, and now’s the time to step back and decide if your talent strategy is ready to meet the needs of the nation. Seb O’Connell is Executive Vice-President and Managing Director for Europe at Cielo, the global talent acquisition and management specialist.